Band-aids be gone! Proactive blister protection with two layers. 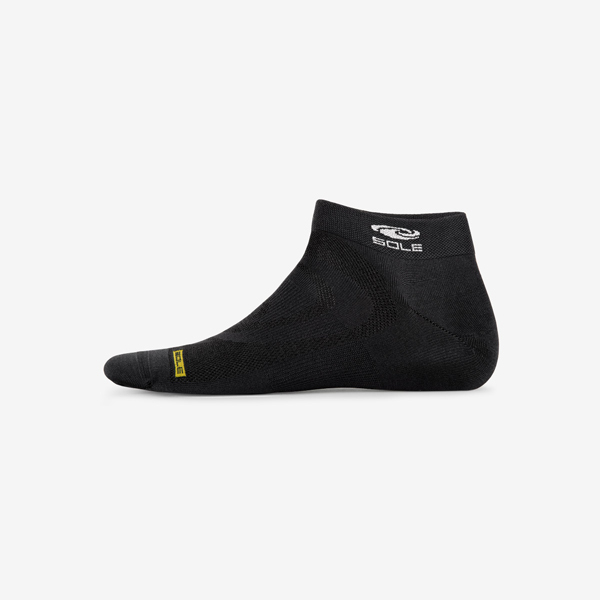 The inner layer hugs your foot and slides against the outer layer, protecting your skin from friction to reduce the risk of blisters. Proactive dual layer blister protection. 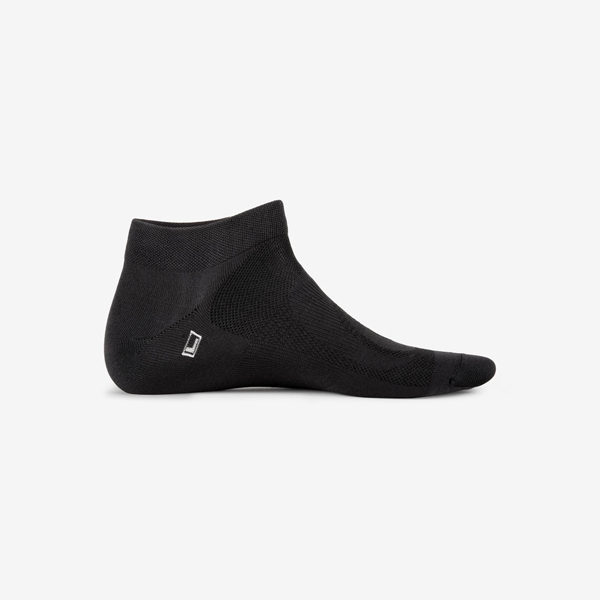 These are hands-down the best running socks I have ever worn! 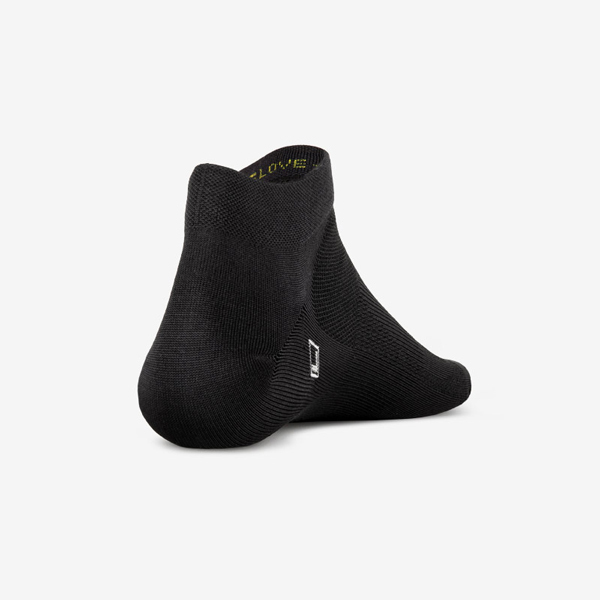 I have trained for 3 marathons in hot, humid weather and have never gotten a blister, hot spots, or calluses with these socks. I love how they fit my feet and don't bunch up. 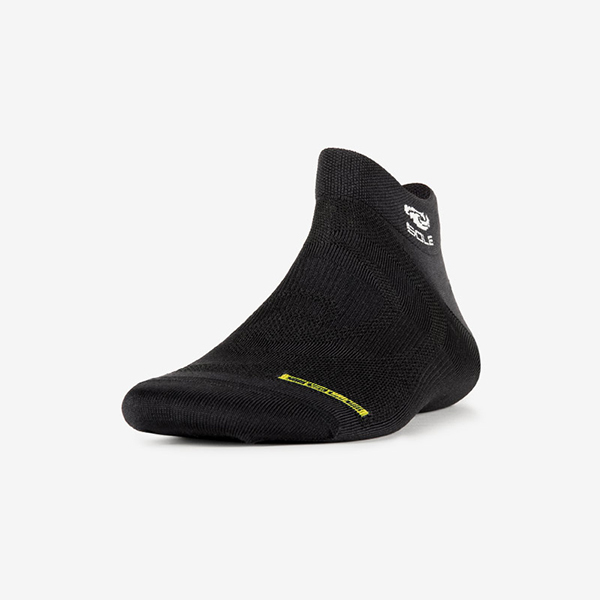 If you like a thinner sock, but find them to be too flimsy for longer, sweatier runs, then give these a shot. They are thicker, but they stay cool - I don't notice the thickness, especially because my feet stay so happy! Low density EVA provides soft, instant step-in comfort.